The Guthrie Theater has two dynamic productions that close soon that you don’t want to miss. 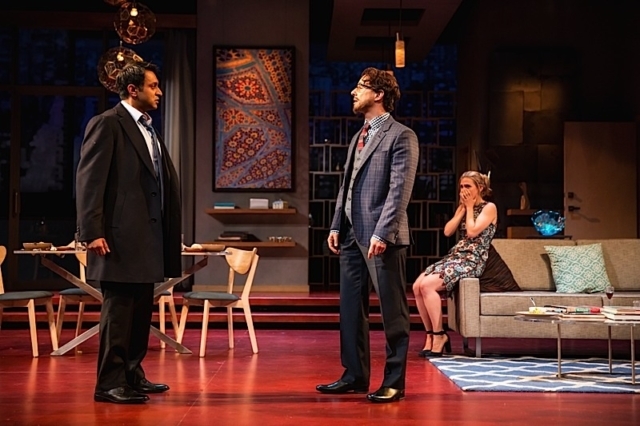 The Pulitzer Prize-winning Disgraced by Ayad Akhtar will discomfort those who prefer categorical thinking to actual thinking. Director Marcela Lorca’s McGuire Proscenium staging of the 2012 drama plumbs the rage underneath a fascinating set up. In a revelation of a performance, Bhavesh Patel plays a man of color and ex-Muslim whose oppression in the course of the play is not enacted by the proverbial straight white man. Instead, he is victimized by those closest to him: his liberal white wife, a black female associate from the law firm where he works, and her Jewish husband. Akhtar brutally brings to light that those who fancy themselves as the progressives can be some of the cruelest people you will ever have to tangle with. In this wrenching masterpiece, laced with lots of wit, humiliation appears to be such people’s forte. On the Guthrie’s biggest stage, the Wurtele Thrust, director Joe Haj’s majestic revival of a 1949 classic. 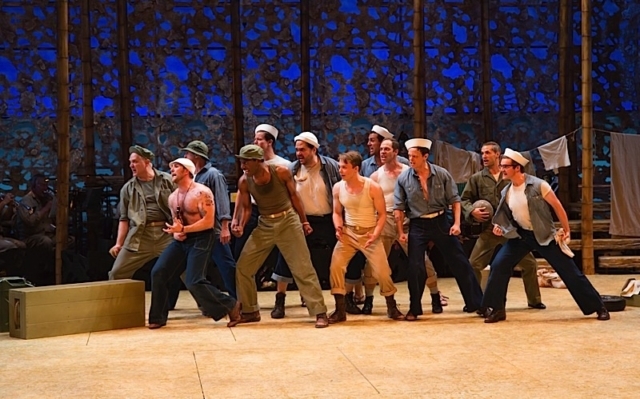 South Pacific, Rodgers and Hammerstein’s Pulitzer Prize winner with book by Joshua Logan and Hammerstein, like Disgraced, is perfectly attuned to the current socio-political climate. 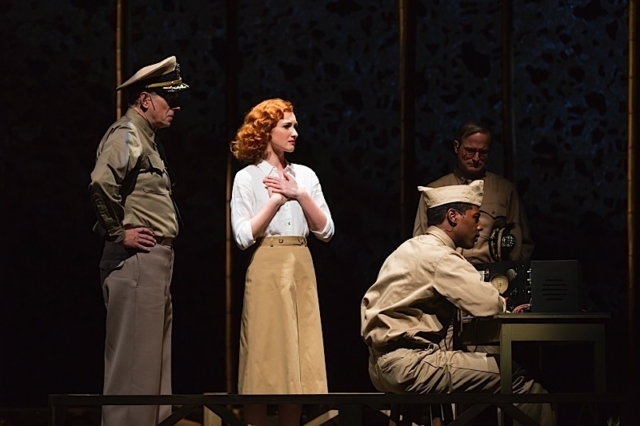 Erin Mackey’s winning performance as Ensign Nellie Forbush is not only joyously sung but she penetratingly reveals the layers of subconscious racism and xenophobia that this white American woman is blind to in the beginning. Though her disposition is genuinely sunny at the start, she is thrust into circumstances that challenge her ethics and make her aware of feelings she has not previously experienced. Edward Staudenmayer is the very picture of an ideal middle-aged romantic lead. His vocals create celestial moments at times that lift the show to the realm of the sublime. Christine Toy Johnson brings a desperation to Polynesian peddler Bloody Mary. She intuits her world is on the brink of disaster and we sense an underlying desperation as she connives to marry off her daughter to handsome Lieutenant Joseph Cable played by a resplendent CJ Eldred. It’s good to report that The Book of Mormon didn’t damage Eldred’s capacity for empathy. Like Nellie, Joseph is facing his American Exceptionalist illusions and in the process finds his heart. The overall acting in this production is so fine that even the throwaway role of cranky Captain Bracket has rich dimension in the able hands of Steve Hendrickson. Tim Weil’s music direction is simply dreamy. Lighting by Justin Townsend (no relation) is beautifully evocative. All vocals are terrific. Just to be clear, South Pacific is based on James Michener’s Pulitzer Prize winner, Tales of the South Pacific, as well. A Pulitzer party if ever there was one! Not to be missed.